Oceanwide Expeditions said 74 passengers and 21 crew members were safely transferred from its stranded ship at South Georgia Island onto another ship and are en route to Montevideo, Uruguay. “Everybody is safe and well,” the company said. The tug boat is proceeding into King Edward Cove to tow the boat, Plancius, to another port where repairs can be made. The 114-passenger Plancius took shelter at the sub-Antarctic island of South Georgia after losing some of its propulsion. The vessel is at the jetty at King Edward Point Research Station. The Plancius’ Atlantic voyage was interrupted on April 9, when a mechanical dysfunction of the main propulsion system caused reduced propulsion power. As a result, the ship had very limited sailing capabilities—a maximum of 4-5 knots in calm conditions—which meant the vessel would not have been able to maintain course in rough seas of the open ocean, the company said. The ship’s original voyage was aimed at crossing the Atlantic. Passengers embarked in Ushuaia on March 29. 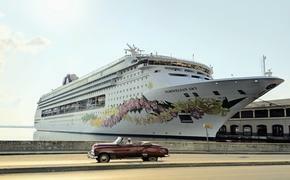 The cruise was scheduled to conclude May 5 at Praia, Cape Verdes Island, off the coast of West Africa.